I love reading people’s monthly favourites, seeing what they actually use and like as everyday products and things. I’ve ended up with another mix of lots of things in mine, I like a lot of things and have found new products or rediscovered ones I’d forgotten or not used in a while from a few different kinds of product outside of beauty as well so it’s a bit like last month with a bit of everything in there. Maybe I should keep that as part of the title every time, or would that be a bit repetitive? Anyway, here’s the products I’ve loved, I’m not sure where you can find some of them online so I’m going to link the things I can find. 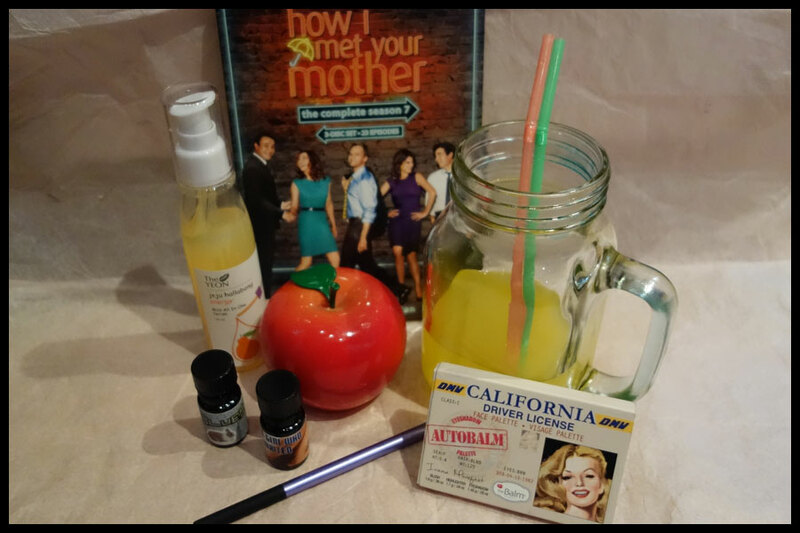 These two products are ones I’m not sure where I’ll get them and they both came in the Meme box I posted about some time last year. 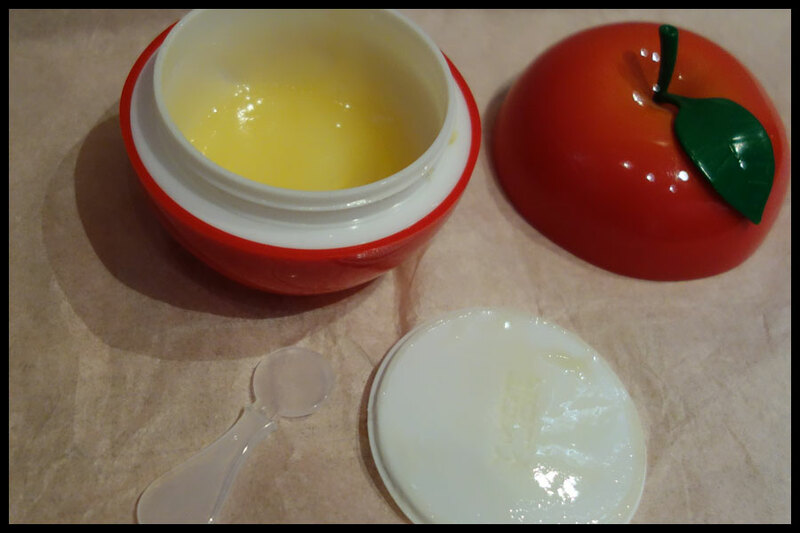 The TonyMoly Red Appletox Honey Cream was one I wasn’t too sure of at first but I really like it. Unfortunately it doesn’t have any spf in it so I don’t use it in the day as my skin does need that but it works well as a night cream or when I’m not up to doing much and stay in bed, it’s on my bedside table as it looks nice as well as being useful and easy to reach there. 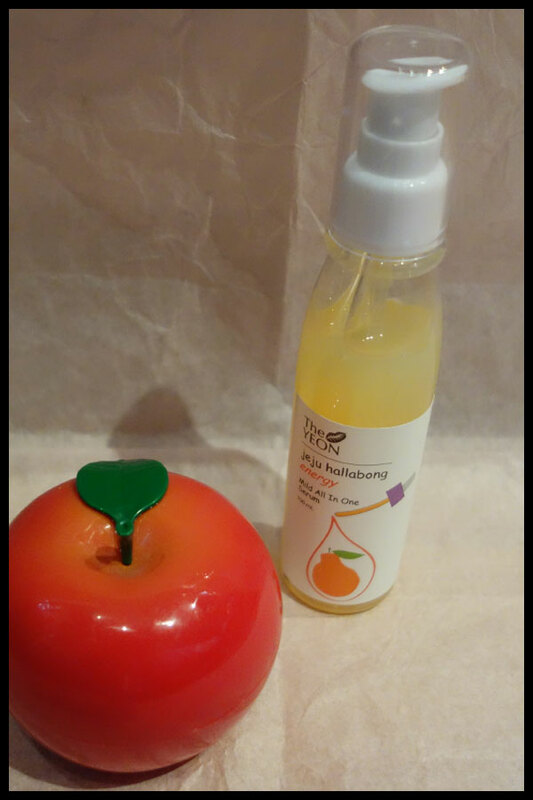 I love the smell of this, it’s like fresh apples, a true apple scent not one of the fake apple scents that can be overpowering. After a few minutes I don’t notice the scent on my skin. This is one I’m trying to find a reputable seller for on eBay as everywhere else that sells in the UK it seems to cost three or four times more than the ones I’ve found on there. I have seen one name mentioned as being an eBay store for a good company so I’m looking into that, if I find it is them I might do a little order and try some other TonyMoly things too. The Jeju Hallabong energy mild all in one serum from The Yeon is one I really want to find an online seller for as it’s great. I used it a bit when I first got it but went more for moisturisers, now I’ve tried it again and I love it, it sinks in so quickly and doesn’t leave a greasy or tacky feeling on my skin like some serums. It also smells of oranges, or rather citrus fruit, though not too strongly and only needs one pump for my whole face so this is going to last ages. I use it after I’ve washed my face, then I leave it for 15 or 20 minutes if I have to the time before I put my moisturiser on and so far it’s working great. I may have a bit of a collection of perfume oils from One Hand Washes the Other, I think I have about 10 of them now which is quite a few for me. These two; Bluebell (£7.74) and The Girl Who Waited (only in solid perfume for £4.06 now) were two of the first I ordered and I will admit I was partly drawn in by the name of the product and the fact they are linked with Doctor Who and Sherlock, though I wasn’t that much of a Sherlock fan at the time when I saw lychee in the Buebell description I couldn’t not get it. 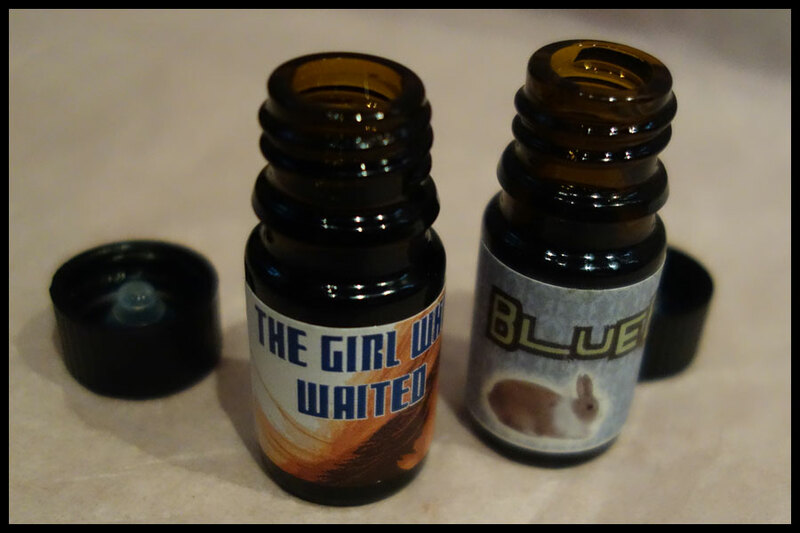 The Girl Who Waited is a great apple scent, really light and there’s a hint of greenery in it that makes it great for spring. I think that Bluebell is one of those scents that just makes me feel happy, which may sound weird, but I sometimes put it on when I’m having a bit of a meh day or my ME is playing up and stopping me doing things and it just makes me feel better. It’s a light fruity scent and on me it is mainly lychee that comes through which is great as it’s one of my favourite scents and you don’t see it in perfumes very often. One thing with this company; if you do order and you’re in the UK you will get hit with customs charges so it’s best to make an order that’s either small enough to not get charged or big enough to be worth it. 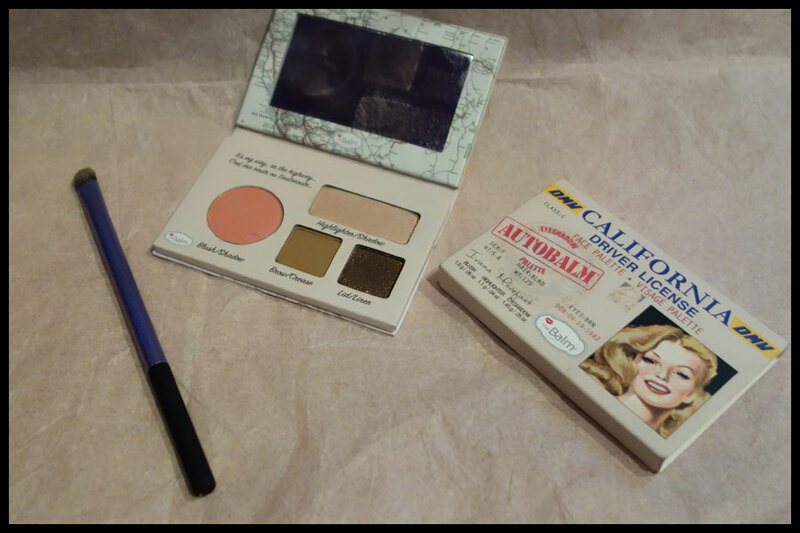 I think I’ve posted enough times after the California Autobalm face palette from the Balm for it to not be a surprise it’s in here. I’ve loved this for travelling and have used it when I’m at home as well. I really the neutral colours and the fact the blush is in there too, although I do like the Hawaii palette that’s in the range this is one I’ve found myself going for more instead of it, I think it’s the fact the lightest colour works well as a lid colour and make me look more awake which is always a good thing when you’re not feeling so good. This costs 16.49 on the Superdrug website and if you want to see the colours and a bit more in depth about it then my recent post is here. The Real Techniques shading brush is one I bought as a bit of a treat to replace my old brushes and I didn’t realise exactly how much I’d use it when I did. It’s one that I use for everything, it works for eyeshadow and concealer so for the eye area, at least for me, it means I don’t have to pack three or four brushes for travelling which is always good. It looks good, works really well, and the bristles are so soft which is always important for me. It costs £7.99 on Boots.com and, for me at least, is definitely worth it. 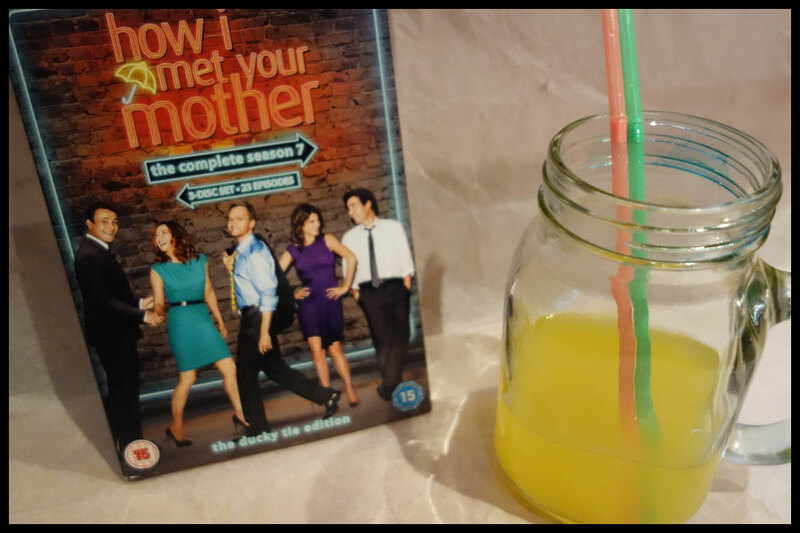 Recently How I Met Your Mother has become my go to show to watch when I’m not feeling that good and I’ve been spending a few days in bed throughout May. I’ve watched almost all nine series, I just photographed seven as that was the series I was on, and I actually think this is my favourite cover. I’m sure most people will have some idea of what HIMYM is about or at least heard of the name but in case you haven’t it’s a sit com around the lives of five friends; Lily and Marshal are married, Robin, Barney and Ted who is the one telling his kids the story of how he met their mother. This story doesn’t really have much to do with the mother until series eight and, if I’m honest, I’m not a fan of the way they ended it so will probably not be watching the final episode this time, but until then it’s a good show. You can find the DVDs online in a lot of places or in stores, though they’re shown fairly regularly on E4 in the UK and I think they’re sometimes available on the Channel 4 player. I included the jar glass in my recent purchases from Tesco post. I didn’t realise how much I’d use it, I think I’ve only really drank from this glass since I’ve had it as it’s just so easy to make sure you get a lot of liquid in the day. I’m not always that great at drinking enough and end up drinking more later in the evening to make up for it which isn’t the best plan so anything that makes me drink more earlier is always good. In the glass is a Tesco mango and orange double strength squash which I also love but not sure it’s worth adding as a favourite yet. I hope you enjoyed this, even if it is a bit of an odd combination! Any products you’ve loved this month and you’d recommend?